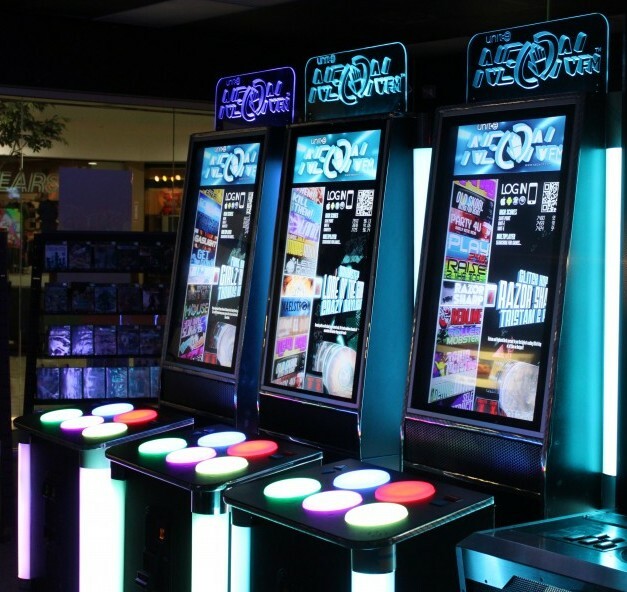 With its svelte width, Neon FM leaves plenty of room in the arcade for multiple machines. 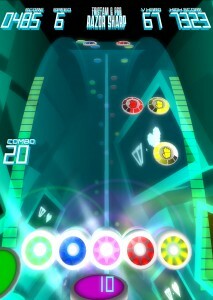 Songs can be priced separately by arcade operators. This allows us to provide licensed mainstream tracks at a premium to casual players, while still providing an inexpensive core experience to seasoned gamers. Neon FM uses the same proprietary QR login system as Cardiac™ to quickly personalize your game experience. Just point and shoot with your phone to log in! “Roulette” redemption mode allows players to earn spins on a prize wheel with high scores. Optional “skill” redemption mode awards tickets directly, should local laws require it. 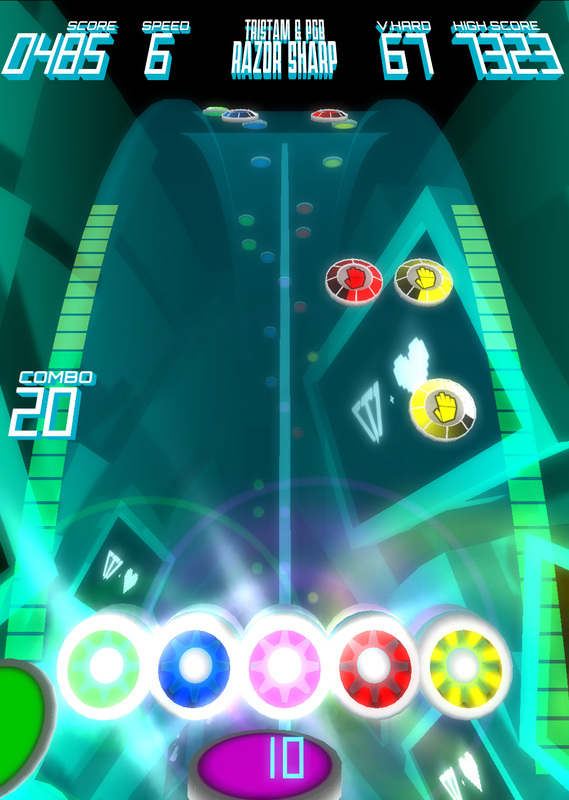 Videos, pictures, and more information at NEONFM.COM!